As a Certified Provider of the DNA Appliance ® (Daytime Nighttime Appliance) system, we can treat the teeth, jaws, temporomandibular joints (TMJ), face and airway for optimal growth and development by engaging the patient’s underlying genetics without the use of surgery. Using the principles of Epigenetic Orthodontics, this technique activates one’s naturally occurring genes to correct underdevelopment in the craniofacial region with removable appliances worn during the evening and nighttime - during the body’s natural circadian rhythm. The bones in the craniofacial region are remodeled over time, non-surgically making a foundational correction to the structure of the airway. It is a pain-free, minimally invasive process which uses no drugs, medication, or injections. How does the DNA Appliance work? The DNA Appliance gently expands the upper arch space in three dimensions, which in turn increases the size of the nasal cavity. As the upper arch is widened, the lower jaw is able to move forward into a more natural position. As the jaw moves forward, it pulls the tongue and soft tissues, thus increasing the size of the airway. The result is a dramatic improvement in the patient’s ability to breathe. The CT imaging shown above compares the width of the airway (in red) "Before" treatment with the DNA Appliance and "After", clinically documenting the expansion in the airway in an adult patient. This unique appliance, based upon a patented design, is worn like a dental or orthodontic retainer; however, it is worn only in the evening/night and gently guides the teeth, jaws, facial bones and airway into more optimal spatial positioning aiding sleep and breathing patterns. In contrast to other appliances that rely on continuous force only – which damages sensitive tissue – the DNA appliance applies intermittent force, providing a resting period for the tissues between nightly use. The DNA Appliance system is unique because it was not only developed to lessen sleep apnea, but it also straightens teeth, develops the upper and lower arch, and improves the upper airway. By improving the upper airway through an increase in facial volume, a cosmetic benefit of facial feature balancing occurs. This can give a lifting result similar to that found with an injectable or filler such as juvederm or radiesse, but is a natural and permanent solution. Some patients have even reported this is much like a “non-surgical facelift”. With the use of DNA Appliances, our body has the ability to self correct—to enhance the teeth, jaws, TMJ, face, and airway into more optimal relations for functions, such as sleep and breathing. Dr. [doctor_name] is a Certified Provider of the DNA Appliance system. Call [practice_name] to schedule an appointment with our dentist today! Singh GD Dental sleep medicine in the 21st CenturySleep Scholar. N.p., 01 July 2015. Web. Singh GD, Griffin TM and Chandrashekhar R. Biomimetic Oral Appliance Therapy in Adults with Mild to Moderate Obstructive Sleep Apnea. Austin J Sleep Disord. 2014;1(1): 5. Singh GD, Callister JD. Effect of a Maxillary Appliance in an Adult with Obstructive Sleep Apnea: A Case Report. Cranio. 2013 July; 31(3):171-179. Singh GD, Wendling S, Chandrashekhar R. Midfacial development in adult obstructive sleep apnea. Dent Today. 2011; 30(7): 124-127. Singh GD, Diaz J, Busquets-Vaello C, Belfor TR. 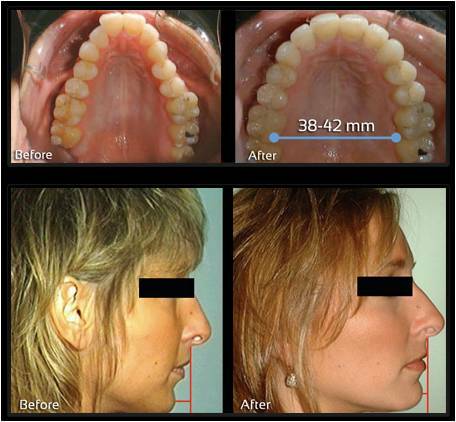 Facial changes following treatment with a removable orthodontic appliance in adults. Funct Orthod. 2004 Jul-Sep; 21(3): 18-20, 22-3.